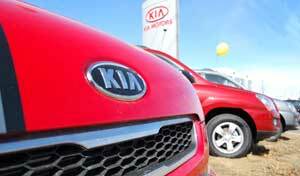 Kia Canada recorded its best June ever with 7,782 new vehicles sold, equaling a 10 per cent growth when compared to June 2011. While accomplishing an industry leading 42 months of continued sales growth, Kia achieved its best first six months of the year ever with 39,298 units sold, representing an 18.7 per cent year-over-year increase. Driving volume sales for the month of June were four key vehicle lines, representing a variety of Kia’s product portfolio. The Forte family, including the sedan, Koup and 5-Door, was Kia’s premier volume seller for the second straight month, achieving 1,794 reported units. Optima contributed to 1,241 units sold. The Georgia-built Sorento experienced strong sales results as well, with 1,200 units reported. Additionally, the latest vehicle to join Kia’s product line, the all-new Rio subcompact, contributed to volume sales of 1,199 units sold. “Kia is delighted with our on-going success that has been emphasized throughout the first half of the year with multiple best months ever and continued record sales results,” said Jack Uczciwek, director of sales for Kia Canada Inc.
As for July sales incentives, the automaker says it will continue the 2012 Grand Finale Clearout Sales Event for the month of July. 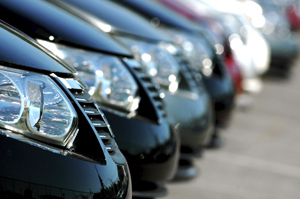 All key offers including zero per cent financing and Don’t Pay until Fall on select 2012 and 2013 Models will continue. Cash buyers can continue to enjoy up to $4,500 cash savings on select 2012 Forte.